A breath of fresh air in today’s existential minefield of society. We will soon be able to meet and exceed the basic needs of every man, woman, and child on the planet. Abundance for all is within our grasp. This bold, contrarian view, backed up by exhaustive research, introduces our near-term future, where exponentially growing technologies and three other powerful forces are conspiring to better the lives of billions of people. 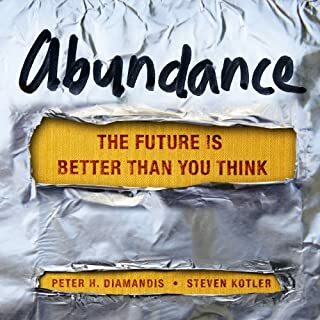 This book is an antidote to pessimism by tech-entrepreneur-turned-philanthropist Peter H. Diamandis and award-winning science writer Steven Kotler. 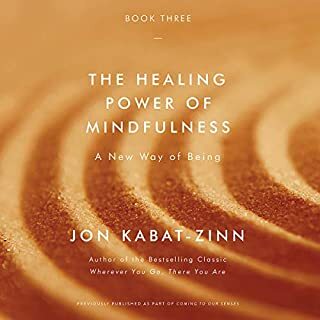 In The Healing Power of Mindfulness, Jon Kabat-Zinn shares a cornucopia of specific examples as to how the cultivation of mindfulness can reshape your relationship with your own body and mind - explaining what we're learning about neuroplasticity and the brain, how meditation can affect our biology and our health, and what mindfulness can teach us about coming to terms with all sorts of life challenges, including our own mortality, so we can make the most of the moments we have. 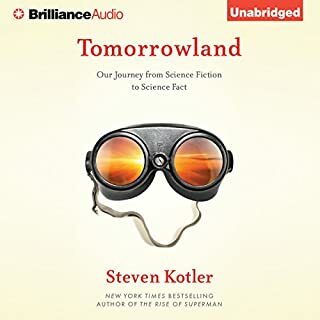 New York Times, Wired, Atlantic Monthly, Discover bestselling author Steven Kotler has written extensively about those pivotal moments when science fiction became science fact...and fundamentally reshaped the world. 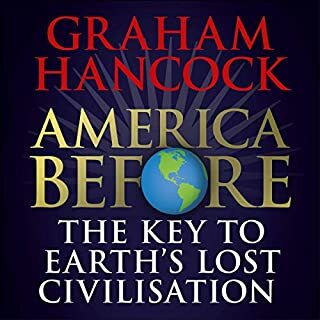 Now he gathers the best of his best, updated and expanded upon, to guide listeners on a mind-bending tour of the far frontier, and how these advances are radically transforming our lives. 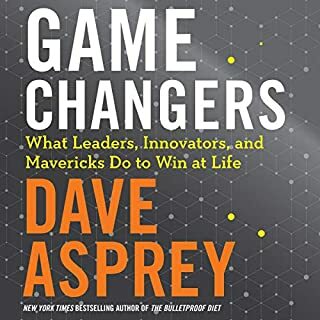 In this groundbreaking audiobook, New York Times best-selling author Steven Kotler decodes the mystery of ultimate human performance. Drawing on over a decade of research and first-hand reporting with dozens of top action and adventure sports athletes like big wave legend Laird Hamilton, big mountain snowboarder Jeremy Jones, and skateboarding pioneer Danny Way, Kotler explores the frontier science of “flow”, an optimal state of consciousness in which we perform and feel our best. 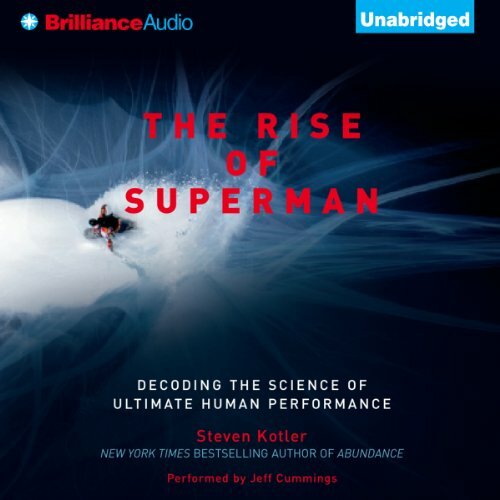 Building a bridge between the extreme and the mainstream, The Rise of Superman explains how these athletes are using flow to do the impossible and how we can use this information to radically accelerate performance in our own lives. 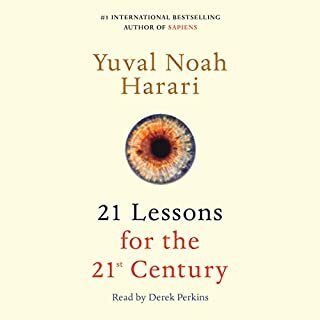 At its core, this is an audiobook about profound possibility; about what is actually possible for our species; about where - if anywhere - our limits lie. 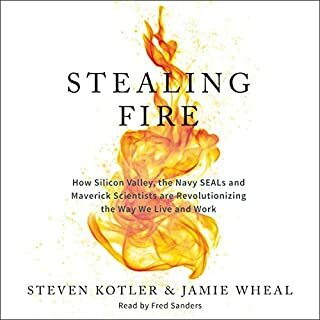 ©2014 Steven Kotler (P)2013 Brilliance Audio, all rights reserved. great stories about adventurers in the flow zone. I would have liked more about how to get into flow in the common non-physical setting. 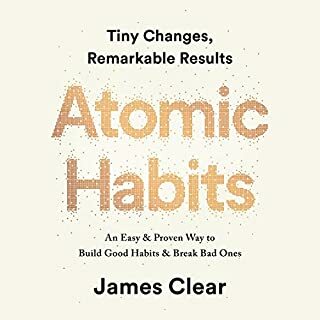 I've listened to this book several times now, and each time I see its application in new areas of my life. The implications are profound, and the harnessing of the Flow State maybe one of the most important developments in human history. 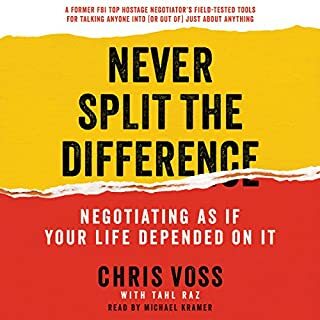 Highly recommend this book. Thank you Steven kotler! what blows me away is this information is already 5 years old. what do we have now? If there was any sort of narrative whatsoever, or if it wasn't so formulaic. Admittedly I couldn't finish it. It was grueling. Says things such as, "that was like painting the Mona Lisa upside down and blind folded". Actual quote to describe doing a skateboard jump over the Great Wall of china. 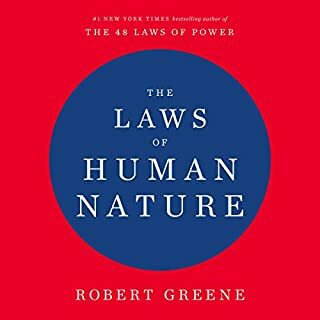 This book was an interesting introduction to the idea of flow. But the majority of the book is essentially stories of the multitude of impressive feats accomplished by extreme athletes. It's less so a practical guide (as much as a practical guide to reaching this state might be possible) to achieve flow - which really is more of what I was hoping for. Nevertheless I will likely go over this book again and listen to select chapters. I'll admit up front, I didn't finish this book. I had high hopes after hearing an interview with the author, but... well, I can't claim to be the best athlete, but speaking as someone with a footing in the world of art, when somebody makes the claim that a certain move in a given sport is "the equivalent of Leonardo da Vinci painting the Mona Lisa with a steak knife shoved through his eye"... all bets are off. That statement is beyond meaningless, and there are so many more like this that it renders the discussion just as meaningless. I'd put down a fiction book if it were written like that. From nonfiction, there's no excuse. I skipped ahead in the book from there hoping for more meat and potatoes. I didn't find much beyond more anecdotes, hyperbole, and very little practical application. I'll go again at a later date now that I know what to expect, but as of this review, I'm just disappointed. Hyperbole may be the name of the game when dealing with extreme sports, but I was looking for something else. ESP, shared consciousness, precognition? 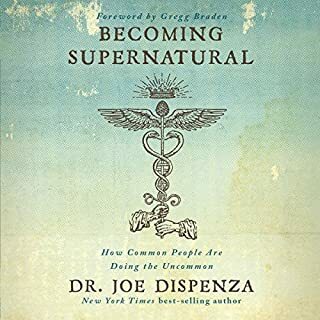 This is the biggest book of pseudoscience, cargo cult science I've ever read. 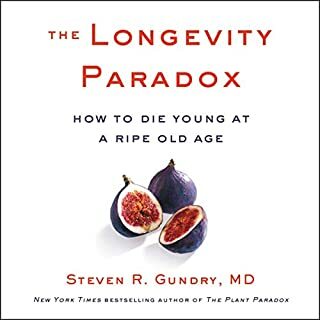 A real gallery of new age science illiteracy that I'm afraid the average reader of this book may not be equip to deal with. Full of tremendous exaggerations and little to no critical thinking. If you are someone like myself you'll be vexed by the fallacious lines of reasoning (look at all of these anecdotes man, this my value research data!) 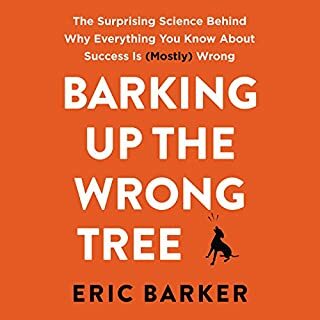 and the, "all these people can't be wrong" mindset of the author. If I knew this was the kind of book I was getting I have never have gotten it. 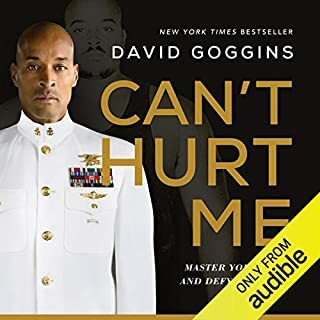 If you goal is to hear a collection of 'cool' anecdotal stories of a few extreme athletes then be my guest listen away and ignore all the scientific claims he makes just be safe. Otherwise you will not find anything of value there. PS: The title of this book should be changed. Please note, I only read 66% of the book so far wishing it would get to talking about the things mentioned in his big think video, but it did not. Kotler cites the work of better scientists and better writers. If you're interested in FLOW, read Mihaly Csikszentmihalyi. If you're interested in Flourishing, read the book by Martin Seligman. There are better places to get better info from the people who did the work, not just compiled stories. Come on Kotler, you're a superstar, don't give us the cliff notes from the other guys! 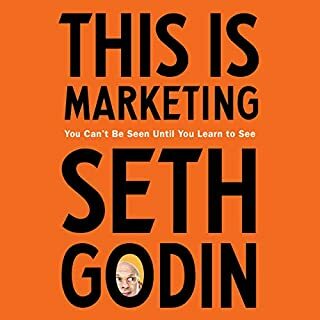 I made it exactly 5 minutes into this book before Jeff Cummings, infomercial-used car salesman delivery, had me thinking it might be better to dive head first off my balcony, than continue to listen. Listening was fine I had no problems with the narration of the title book. 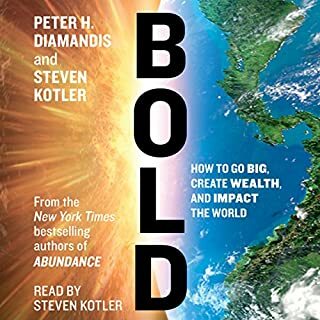 Would you ever listen to anything by Steven Kotler again? Not if the book is anything like this one. What character would you cut from The Rise of Superman? The book is mainly a bunch of stories compiled by surfers, skateboarders and mountain climbers. No real "science" at all. Just a bunch of pseudo science nonsense about these people who have entered the flow state. So I would cut out the nonsense and put more actual research into the book. Extremely disappointed in this "book." I had the hopes after the first hour they would stop talking about the "extreme athletes" that have reached the flow state but it ended up just being story after story of the same thing. This was my first attempt at an audiobook and I have been let down. I listened to only about half of it. Terrible experience. I think this idea needs more work and the conclusions are 'half baked'. I am not convinced that this 'flow' state is anything more than body hormones, or mild case of temporary brain malfunction or possibly temporary brain enhancement. 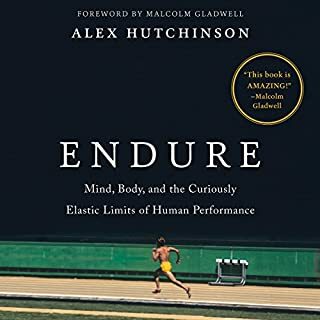 I had trouble getting through this book as the descriptions of the 'extreme sports' was a little too 'California' for my liking and the science seemed a little light on. I am not convinced that anyone can experience these mind altering episodes and not sure if it is a good idea that anybody should. I did not enjoy this book and am sorry I devoted the hours I listen to it. Glad I didn't buy a hard copy as I would have never finished it and I would have a reminder of the waste of money. Sorry Mr Kotler, your book isn't quite that good. Keep at it and I am sure you'll strike the right note.